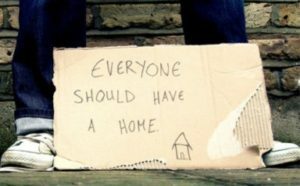 LOS ANGELES – Aiming to assist more homeless individuals who live in their cars, the Los Angeles County Board of Supervisors indicated its intent Tuesday to expand eligibility for county general relief benefits. About 80,000 residents of the more than 10 million countywide receive general welfare benefits from the county. Those who typically qualify are single adults, ages 19-40, who live alone, have no income or resources, and are unable to work but are ineligible for federal or state programs, according to the Department of Public Social Services. Supervisors Hilda Solis and Mark Ridley-Thomas co-authored a motion in February seeking recommendations for helping more indigent residents. DPSS recommended raising caps on property owned by applicants seeking help. Current county code caps the value of a vehicle owned by a would-be beneficiary at $4,500. DPSS recommended raising that limit to $11,500 for individuals who live in their vehicles. Caps on liquid assets would be raised from $50 to $100 for individuals and from $100 to $200 for families. Eligible applicants would be allowed to keep personal property worth up to $2,000 — four times the current $500 limit. DPSS said raising the limits would help welfare recipients to become self-sufficient. The department estimated that 3,037 people would become eligible for benefits under the new rules, costing the county up to $8 million annually. Monthly benefits of $221 for one person allocate $136 for rent, $65 for food, $11 for other personal needs and $9 for clothing. DPSS will work with county counsel to draft the necessary changes to county code, to be voted on at a future meeting. 6 comments for "L.A. County looks to expand welfare payments to residents living in cars"
We need to put people that can’t spell and use caps on all text in a terror list. Im pretty sure Jesus would have been totally fine with this. City and county authorities haven’t softened their position one bit toward the thousands of people forced to reside in cars. Or garages, storage sheds, or in neighborhood backyards. What IS different is that the number of violators is NOW so great the ability to enforce the law has been completely overwhelmed by mass citizen non-compliance. So now they can help the homeless by their drugs so they can sit around and get high.